Going for a business meeting or maybe a conference? Why not take this with you and promote your brand? 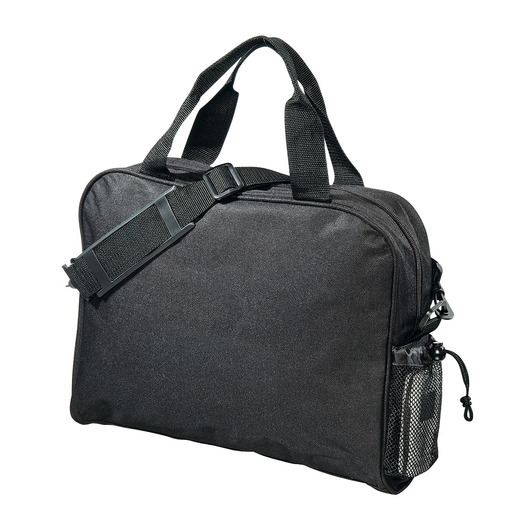 Smart and simple, this document bag is ideal for meetings, conferences and exhibitions. Made from high quality 600D polyester with PVC backing and has 8 litres of carrying capacity. It features a webbing carry handles, mesh side pocket with toggle closure, business card holder on back, single zippered main compartment, and a detachable adjustable shoulder strap. Highly recommended for office workers.